Business owners and entrepreneurs in the alternative healthcare, fitness & wellness industries will benefit from my services. Abby is the founder & owner of KojolaPower Coaching. KojolaPower Coaching & Consulting is born out of a desire to support you in leading exactly the life you desire, as a result of your business and personal success. As a executive coach & business consultant, Abby is dedicated to helping you create business practices that work brilliantly for you, your staff and your clients. She whole-heartedly supports you in living a well-balanced life that includes everything you want it to! A work/life integration and balance strategy is crucial to achieving the lifestyle and success you want. 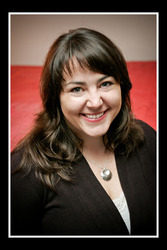 Abby’s 10 years experience in the business world includes executive level assistance, communications, and management. Her work has grown businesses by developing and streamlining systems, implementing deep levels of organization, lively and original marketing, and maintaining extraordinary customer relationships. She has laser sharp insight into the core issues business owners struggle with, addressing them in a gentle and powerful manor. Along with her business training, Abby has extensive training in psychology and healing arts. She has cultivated many tools that help her live a well-rounded and balanced life. Teaching these tools is her mission. Drawing from her broad skill set, Abby will customize sustainable and profitable strategies solutions for your business designed with your whole life in mind. Abby is available to coach business owners and executives as well as partners, staff and teams. She works as a business consultant offering various levels of operational and organizational support. Abby is super amazing. She has a huge heart and only shows love and passion for her clients and colleagues. I have known and worked with Abby for quite sometime and can't imagine not having her in my life as peer or friend. She is amazing! I would refer all my patients to her because I know that they will be in great hands. Abby is a positive, receptive as well as directive coach who helps you focus on what you want to accomplish. She is highly sensitive to bringing out the best in people with humor, skill and patience. She is clearly devoted to bringing your life back into the right balance that you desire - she knows what needs change and yet doesn't impose her value system on you but extracts what you truly don't need anymore and to bring in what you desire. My mission is to help business owners create balanced lives that include personal and professional success that feels really good for them!